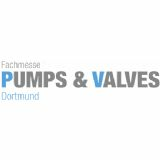 The trade show for pumps, valves & industrial processes enables exhibitors to present their innovations, trends and solutions on the topic of pump and valve technology to a broad expert audience in Dortmund, one of the most dynamic capitals of Germany. 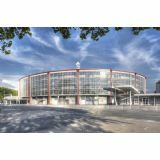 PUMPS & VALVES Dortmund 2019 is taking place in co-location with the established maintenance Dortmund 2019 - trade show for industrial maintenance, such as the M + R Dortmund 2019 - trade show for measurement and control technology. Accordingly, the show is an ideal platform for business, information exchange and networking. In addition to the exhibition, trade visitors can attend the diverse show program and lectures at the ScienceCenter.